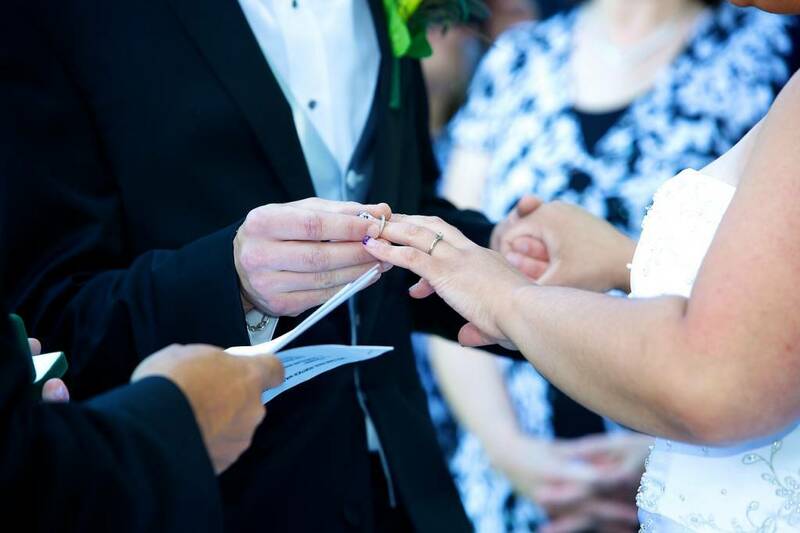 In many wedding pictures we see, the groom looks traditional in mostly black and white. But don’t you just love it when you find a splash of color? Adding color to the grooms outfit can help you strengthen your color scheme, bring character to his outfit, and create a cute matching look between the bride’s and groom’s outfits. Here are some creative ideas for adding color to the groom’s outfit. 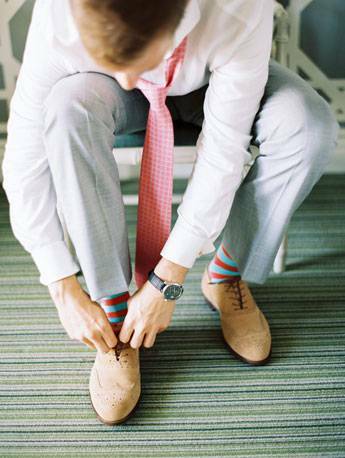 If the groom’s suit pants are fitting right, his socks will only be visible when he sits down. This is a fun way to give a surprise flash of color once in a while. Pair with colorful shoes if you want to take it even farther. 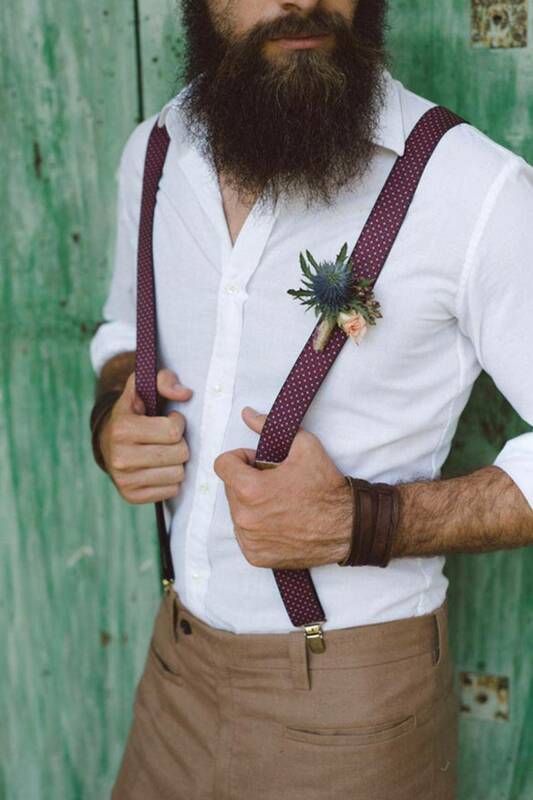 Grooms with vintage-inspired style can check out colorful suspenders. Just don’t go too bright and flashy, or this might end up looking clownish. Think red, blue, purple or green. You can find leather, cloth, and elastic varieties. Choose a fine patterned print for nice detail. Vests can be the perfect item for bringing color into the outfit. Pair a grey suit with a pale yellow vest. Blues, red, pink, or lavender are also great choices. A nice way to tie a colorful vest into your outfit is to have a boutonniere that includes the same color in varying tones. You can also match your tie or bow tie. Will the groom skip the suit jacket? Button up shirts with printed cuffs can be a stylish look. 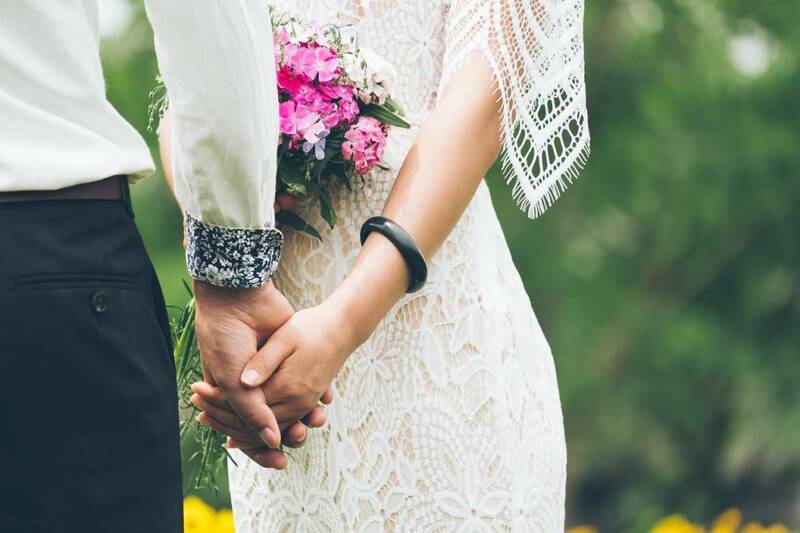 The cuffs in the picture are navy blue, and the floral print compliments the style of the bride’s intricate, floral dress. 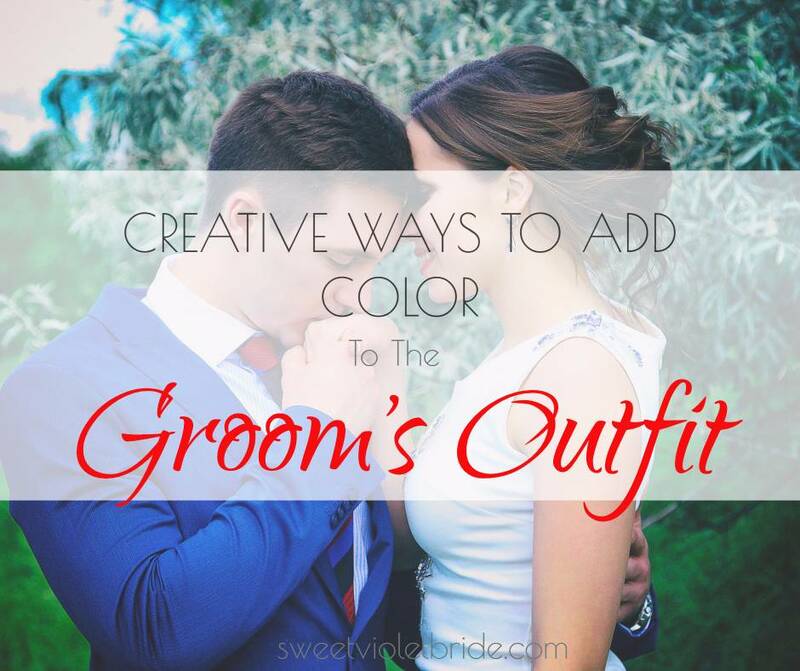 There are countless ways to add color to the grooms outfit. You can opt for little touches here and there, like a flash of fun socks or colorful cuffs. If you want to be bold, try a vibrant vest. Any other ideas? Please leave a comment below!